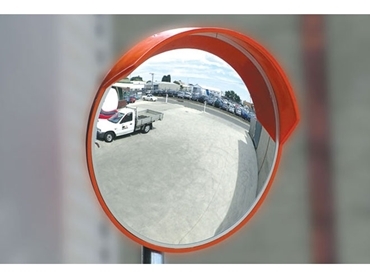 Barrier Group Pty Ltd presents a durable and weatherproof range of outdoor convex mirrors suitable for road and pedestrian traffic applications, distribution depots and parking areas. Featuring an unbreakable polycarbonate face with a high visibility orange visor, all convex mirrors come complete with both wall mount brackets and post mount brackets to suit a 60mm diameter post. Additional 60mm wall mount brackets are available if required.